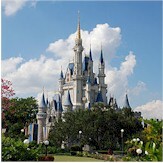 Shelley Walsh Authorized Disney Vacation Planner - Disney Vacation Package Experts! People often ask me "Why do you love Disney so much?". My answer, it is timeless and magical. No matter how old my kids are getting, Disney is a place we can enjoy as a family and act as young as we want. 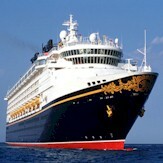 Our absolute favorite Disney vacation is on any of the Disney Cruise ships. Some of my favorite memories as a child were my family vacations. I am very fortunate that I am able to make these same memories for my children. We have been to Disney too many times to count but we always find something new to enjoy. My favorite parts about these vacations are watching their eyes light up with every new magical thing they experience and enjoying their favorites over and over again. I appreciate the opportunity I have to help other families experience this magic on their Disney vacations. I became a Disney Destination Specialist because I want everyone to enjoy all that Disney has to offer. 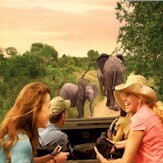 I can take the stress out of planning your next Disney vacation, you can focus on making your own magical memories! Book your Disney vacation with a travel agency that�s been specially designated as an Authorized Disney Vacation Planner. Unlike, some other agencies, Academy Travel�s extensive knowledge of the Disneyland� Resort, Walt Disney World� Resort, Disney Cruise Line�, Adventures by Disney, Disney Theme Parks, resort hotels, dining, recreation- and other magical amenities- can help you get the most of your vacation. And, the assistance of our Travel Professionals can help you customize a Disney vacation that�s right for you, your family and your budget. It�s the most magical vacation destination in the world. The Walt Disney World� Resort is the place where worries disappear, fun reigns supreme and dreams coming true are the everyday. Four Theme Parks, two Water Parks, over 20 themed Resort Hotels, two nighttime entertainment dis�tricts, and a state-of-the-art sports complex immerse you in a world filled with exhilarating excitement, fantastical thrills and whimsical wonder. The happiest place on earth just got happier! Plan for enough days to discover two amazing Theme Parks - the newly expanded Disney California Adventure� Park featuring the new 12-acre Cars Land and the one-and-only original Disneyland� Park with its world-famous attractions and beloved Disney Characters. 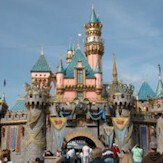 Stay at the Hotels of the Disneyland Resort where an incredible vacation becomes an unforgettable storybook escape.